Located 3 miles from the center of downtown Greenville in the charming bedroom community of Sans Souci. 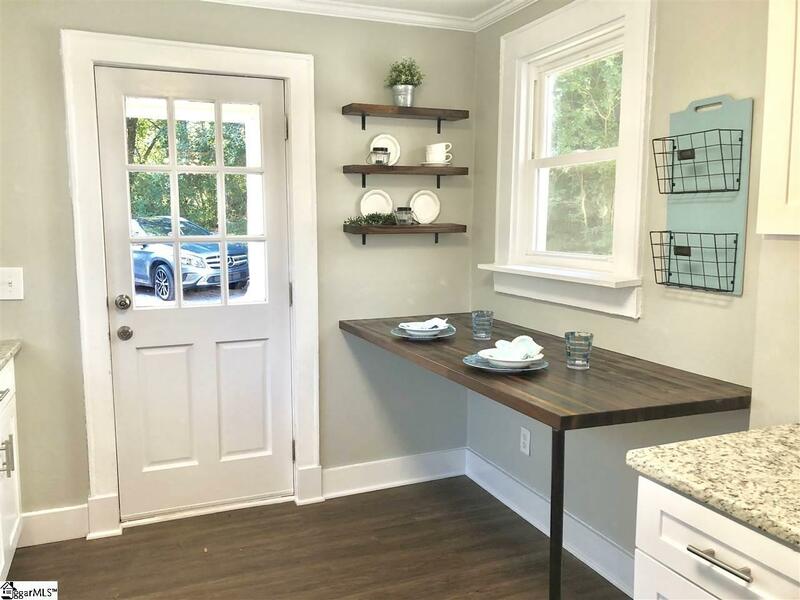 Close to the swamp rabbit trail, restaurants, and shopping this completely remodeled bungalow has the charm of an older home but COMPLETELY REMODELED. Pull up to the ample tree bordered private property and you immediately feel like you are home. 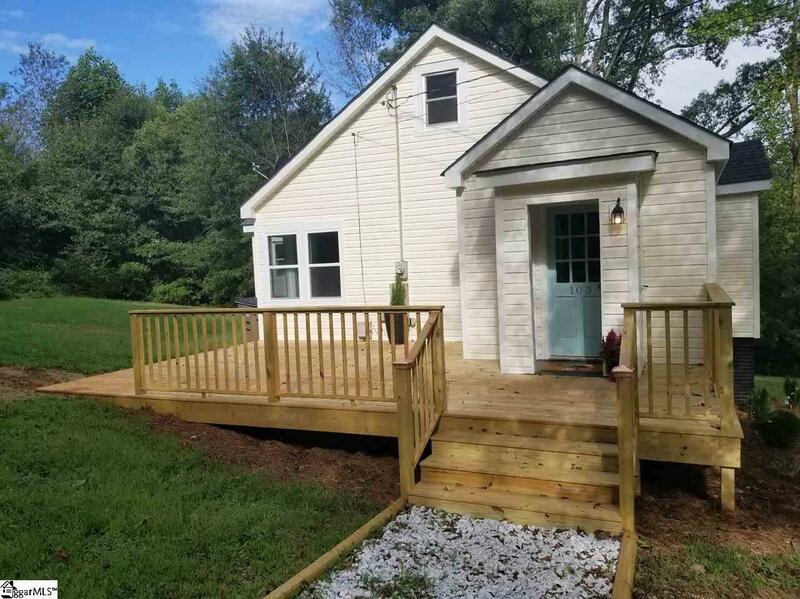 First thing you will notice is the brand new huge custom deck, perfect for having your friends over for a summer barbecue. 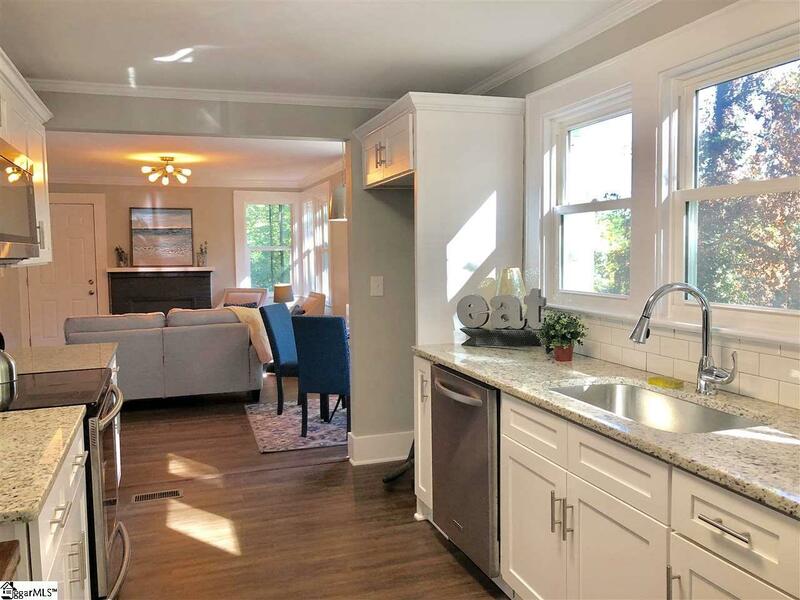 Step into the open floor plan where you will see a bright and sunny kitchen that boasts white cabinets, subway tile backsplash, stainless steel appliances, granite countertops, a cozy butcher block breakfast bar, and gorgeous flooring. Open to the kitchen is the living room and eating area with its huge picture window. 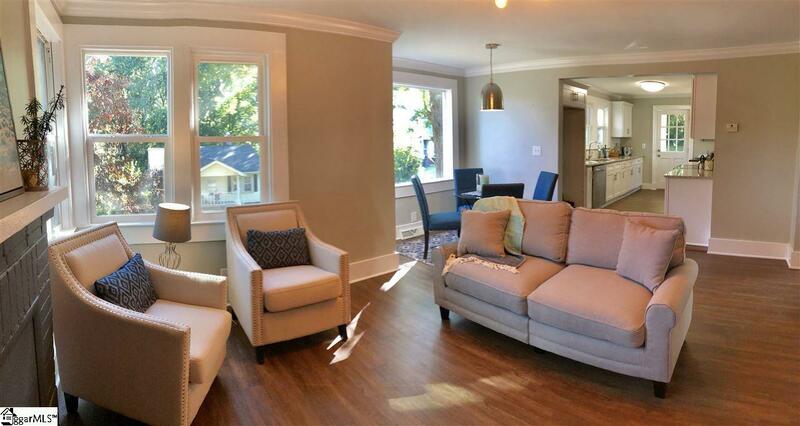 Off the living area is the covered front porch, perfect for some rocking chairs or a porch swing. On the Master suite on the main floor with a full bath and a large closet. A second bedroom is also on the main level with another full bath. Laundry closet for a stackable washer and dryer on the lower level also. Upstairs you will find an adorable bedroom and attic storage. The home has a new roof, new windows, hvac, updated wiring, and plumbing, new kitchen and baths, and all new flooring, lighting, and paint. This is the one you have been waiting for! Don't let someone else get your dream home! Schedule a showing today! Listing provided courtesy of Amy Parham of Keller Williams Grv Upst.